Dried blueberries are drizzled with real Cabernet Sauvignon wine and then given a generous layer of creamy milk chocolate. 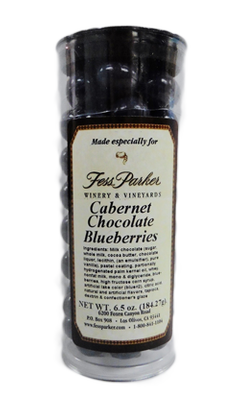 A special Cabernet blueberry coating is applied to give them a dazzling eye appeal. 6.5 oz tube.